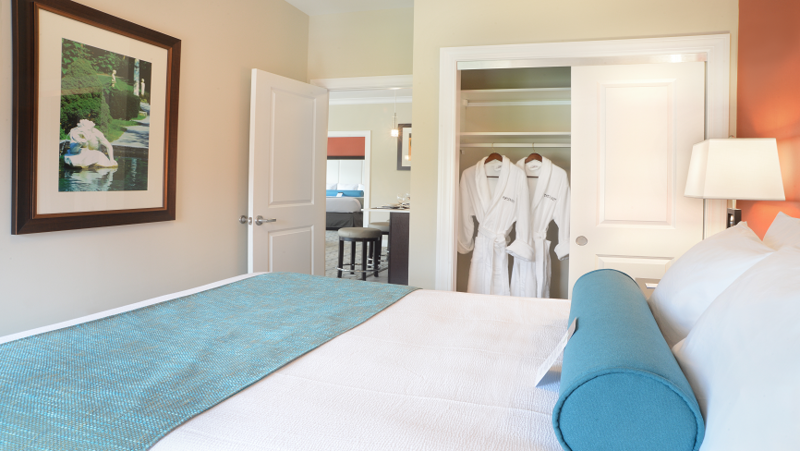 Our Deluxe Two Bedroom Suites in Saratoga Springs NY are ideal for the families and groups who truly love to spread out and enjoy gracious living space. 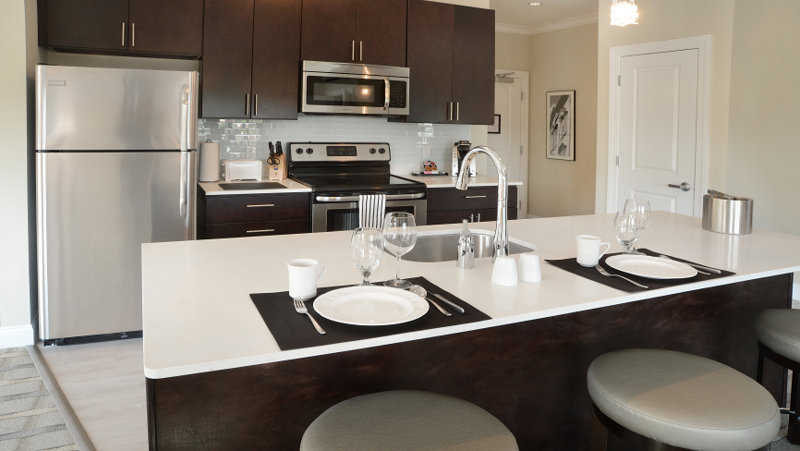 These large suites offer between 1160 and 1380 square feet of absolute style. 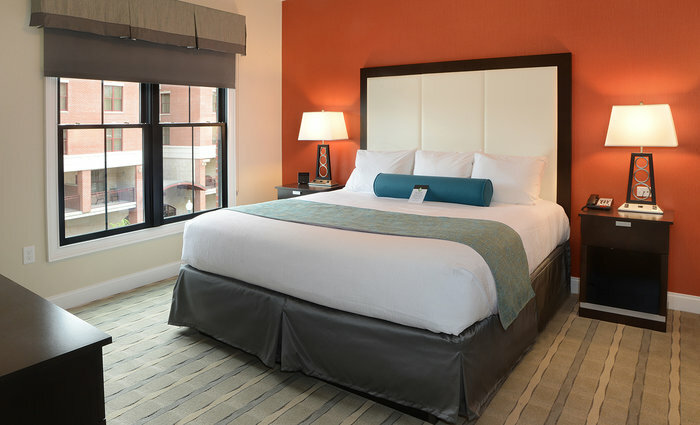 The two bedrooms are equipped with a plush, comfortable king-size mattress in the master bedroom and a queen bed in the guest room draped in luxury linens. 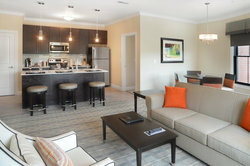 Each suite is unique and different, including a separate living area with large windows that bring in cascading natural light, filling the suite with sunshine. The separate living area includes a dining table and a sofa with a queen-size pullout. 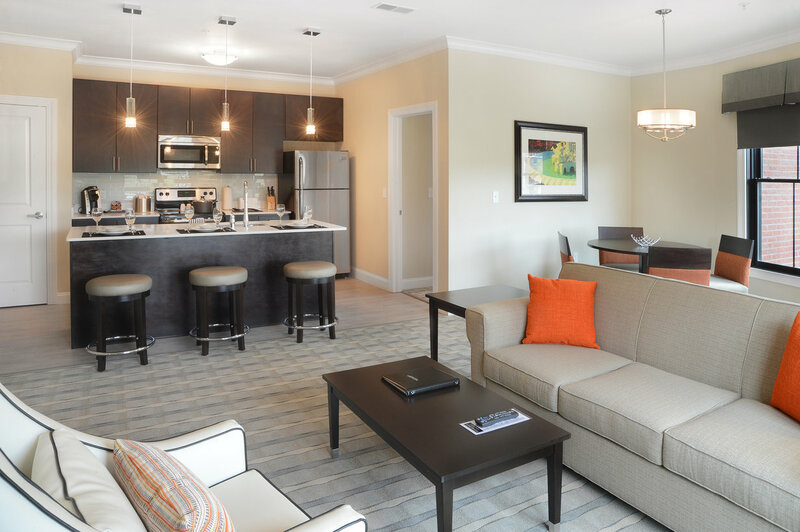 The large spaces throughout the suites are supplied with everything you need to make it feel like your own personal residence including a washer and dryer, stainless steel appliances, and solid surface quartz countertops. This suite in Saratoga Springs NY is just what you need if you want some extra room to help you feel at home during your stay, whether it is for business or pleasure.